You are currently browsing the tag archive for the ‘Greece’ tag. I am still working on how to get slide shows on my blog or at least organized pictures but am not happy with the results yet. Here is one picture from Athens, Greece on our recent trip. 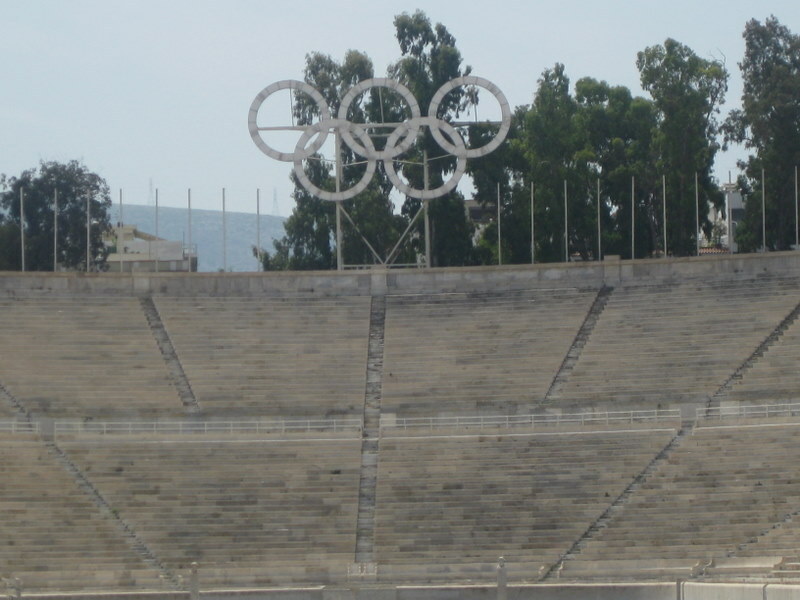 The Panathinaiko Stadium saw a return to the glory of its past, when in 2004 it was used once again as an Athens Olympic stadium. Archery events would be hosted here, and it served as the finishing point for the men’s and women’s marathons. Taylor enjoyed our stop here!